History Channel: The Universe: "Death Stars"
CBS “60 Minutes” on Sunday Night (Dec 27) ran a report “California: Running Dry” on the California irrigation system, where farmers blame environmentalists for disrupting their business to save an endangered fish. Governor Schwarzenegger is caught in the middle, as a Republican but as “The Green Governor” and as concerned about the declining economy of his state. 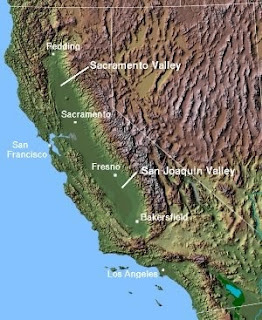 But the real important of the story concerns the levees in California’s central valley and the catastrophic flooding that could occur at any time with a major earthquake, which is almost inevitable. Wikipedia attribution link for map fo CA. On Monday Dec. 14, PBS station WETA, Channel 26 in Washington DC, aired its hour-long documentary “Anatomy of a Pandemic”, produced in part by the station, narrated by NewHour’s Ray Suarez. The link is here. A video preview is offered there. The film traced the history of similar viruses, including the horrific 1918 Spanish flu, in which the young and healthy sometimes dies of suffocation in a few hours. The virus seems to have incubated among the troops, and an overactive immune reaction in the lungs produced a drowning effect. In some cities, society almost completely broke down during the epidemic, and people starved in their apartments. The show documented the 1976 swine flu epidemic, and the Ford administration’s rush for a “shotgun” vaccine, and then the shutdown of vaccination after there were some cases of Guillain Barre Syndrome. The documentary portrays H1N1 as unpredictable, even as there is now a lull in the epidemic. The virus does tend to attach deep in the lungs, and has been more dangerous for young adults than most seasonal flu, even if the total death total is now still less than for seasonal flu. 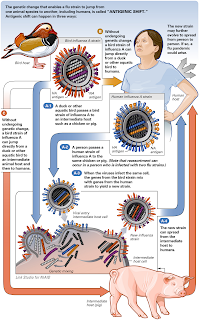 One of the biggest concerns is that H1N1 genes will mix with H5N1 genes, and produce even deadlier viruses. A new viral epidemic, especially based on H5N1, could produce as great a threat to civilization as did the 1918 flu. Live Science article gives credibility to Emmerich's "The Day After Tomorrow" (2004); a sudden Ice Age could really happen! 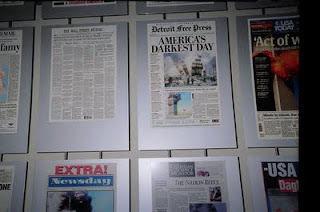 Remember Roland Emmerich’s “earlier” global catastrophe with “The Day After Tomorrow” (20th Century Fox), with the sudden global deep freeze, ironically opening around Memorial Day 2004? Jake Gyallenhaal, as Sam, was pretty much at the end of his youth then, as his scientist dad (Dennis Quaid) tries to reach him in New York. His dad has discovered that the arctic ice cap is starting to fracture and quickly melt, disrupting ocean currents that support the Gulf Stream. 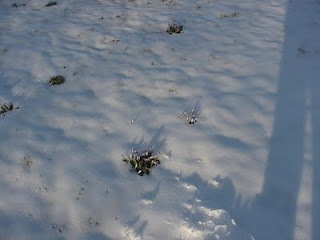 Today Live Science has an article by Charles Q. Choi, “Big Freeze: Earth could plunge into sudden ice age”, link here. It was reproduced this morning on MSNBC. 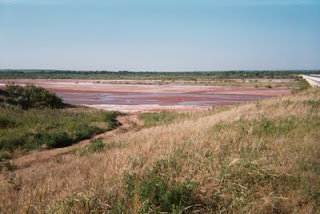 According to latest research, the ice age of 12000 years ago started when Lake Agassiz melted and overflowed. A similar result could happen if the Greenland ice cap were to melt quickly. An ice age could develop in less than a year, giving humans little time to react. 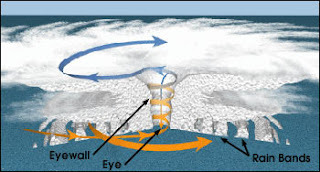 Some scenarios have an ice stage starting with a polar “super storm” which would probably develop in the late fall. A movie similar to Emmerich’s is an ABC TV film “Ice” from 1998, directed by Jean de Segonzac, where the whole US, even including southern California, starts to freeze suddenly starting on May 1. The Live Science article contains a link to “10 top ways to destroy earth”, similar to an ABC-History Channel show of a few years ago, in 2006. (It was called “Last Days on Earth”, with link here.) I like the one about vacuum energy, or a mini-black hole using neutronium (that one sounds a little more plausible to me—my novel manuscript assumes that a “virus” is able to create a mini-black hole and transmit it in a tumor DNA as a disease, with the ultimate possibility that people’s identities combine, Smallville-style). Another neat idea is self-replicating Van Neumann machines. A foreign body really could disturb the orbit of Earth, and either knock it toward the Sun, or as in a Jules Verne novel, away. High school physics teachers could have fun with this article. Here is a UK video on disaster movie director Roland Emmerich. 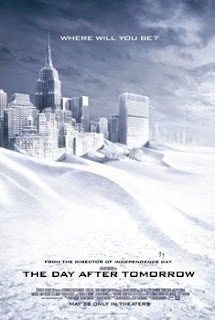 Wikipedia attribution link for poster of "Day After Tomorrow" film. 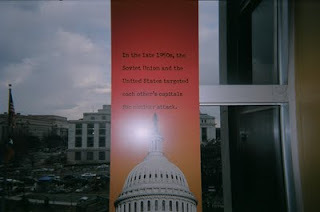 I maintain that, in the spirit of the link, inclusion of the photo is "fair use" because this blog post adds to the notion that the premise of the 2004 film is actually somewhat credible scientifically and should be taken seriously by the world's political processes. The “November month of death” season movie has a second apocalypse, “The Road”, directed by John Hillcoat, from the novel by Cormac McCarthy, adapted by Joe Penhall. The film is a joint effort of the Weinstein Company (through its Dimension Films) and of Mark Cuban’s Magnolia Pictures/2929. It’s filmed on location in Pennsylvania (there’s a critical early scene that appears to be at the old Sideling Hill Tunnel, no longer used by the Pennsylvania Turnpike [it also looks like a tunnel on the Sparta bicycle trail in hilly Southwestern Wisconsin), Louisiana, and Oregon, with some shots near Mt. St. Helens (showing the blown down, denuded trees), giving a clue as to the cause of the calamity. The movie is shot in sepia tones of mostly brown and gray; many scenes seem to be almost pure black-and-white (which is very effective, giving the “Dimension” film a zombie, “Night of the Living Dead” effect). The opening scene of the film shows an outdoor hammock outside a family home among spring greenery. Suddenly the Man (Viggo Mortensen) and his wife (Charlize Theron) notice booms outside, and the Wife asks the first lines of the script, “What’s happening?” (a reference to M. Night Shyamalan). Then we are transported to sometime, perhaps years later, when the Man is with his son (Kodi Smit-McPhee), who was apparently born after the apocalypse in another harrowing flashback. The “road” journey of the Man and Boy gets desperate, with the Boy asking what makes for the “good people,” especially not engaging in cannibalism. The official website is here. The Weinstein Company is one of the few studios that offers embed code right on its site. The 4:20 PM show Saturday at a large auditorium in the modern National Amusements Cinema De Luxe in Fairfax Square, VA was about 2/3 full. Wikipedia attribution link of David Johnston p.d. photo before his death in Mt. St. Helens eruption in 1980. I visited the Sideling Hill areas. 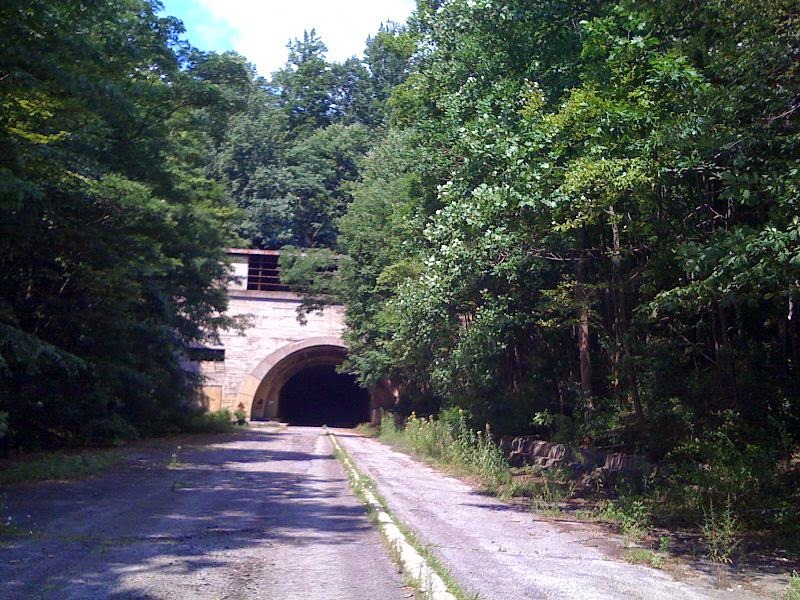 Here is the Wikipedia picture of abandoned Sideling Hill tunnel by Jgera5. public domain, link. Here us a picture of the ridge, "down the road", For logistical reasons, I didn't actually reach the tunnel yesterday. But the tunnel is in the ridge at the end of the road. On Tuesday Nov. 17 PBS Frontline World presented a 13-minute report “Uganda: Out of the Wild” about the spread of novel viruses from animals to human, and back. Someone got Marburg virus (a hemorrhagic fever ) from visiting a cave (with bats), and others got Ebola virus from eating infected meat. Robert Preston had covered this diseases in his book “The Hot Zone” in the early 1990s, and Laurie Garret has written about them. Ebola and Marburg are related, and were a major epidemic to occur in a western environment, it would provoke a crisis. The symptoms are gruesome, with skin and organs breaking down ("liquefying") and the disease is usually fatal or crippling, with transmission by all “body fluids”. It is more transmissible than HIV (but not transmitted through air, probably). Gorillas also developed total alopecia from minor human skin infections. Humans and other primates share about 98% of their genes, so it would be expected that many viruses would cross over. HIV probably came from other primates. 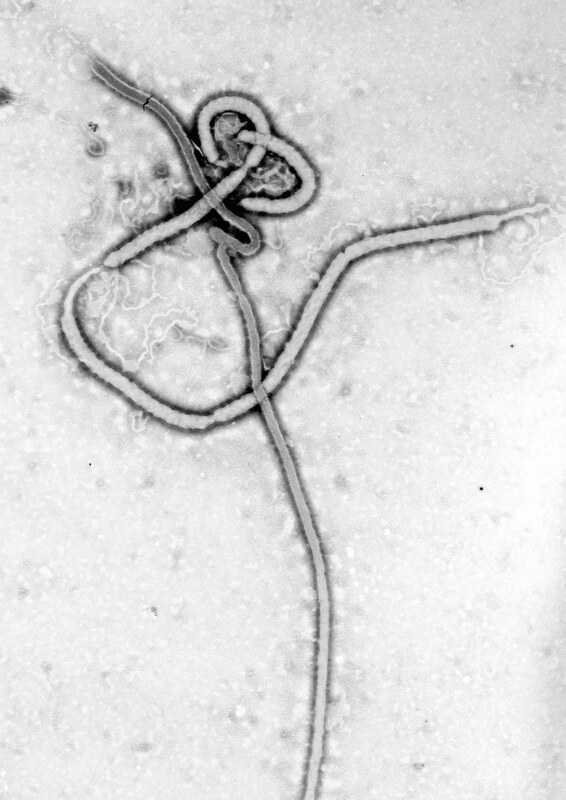 Wikipedia attribution link for CDC photo of Ebola, and RNA virus, Filoviridae. Note the “Shepherd’s hook”. The first 40 minutes covered “A Death in Tehran” , about Neda Agha Soltan who was shot in June during the protests in Iran. The Tehran government actually wanted to make her parents a fake offer of “martyr” status. Roland Emmerich does throw almost every imaginable disaster at us in the 158 minutes of this film. Some of the scenes, like Los Angeles sliding into the Pacific Ocean, and the explosion of the Yellowstone supervolcano, are quite well done and really could happen. Hollywood does destroy whole cities once in a while (Paramount's dogme-filmed "Cloverfield"), but not the whole world very often; Summit's "Knowing" (with John Cage) was, like this, based on solar flares, but involved aliens and starting over on another planet(s) with Adam and Eve(s) (see the movies blog March 20, 2009). But the really interesting thing about this film is the characters – and, yes, the politics. John Cusack (a kind of Tom Hanks) plays an author (Jackson Curtis) whose novel “Farewell Atlantis” (not to be confused with Clive Cussler's "Atlantis Found") has sold “only” 500 copies, probably because it’s self-published, or maybe print-on-demand. He must make a good living as something like a computer programmer or engineer, in some rather introvert-favoring job, to afford his southern California lifestyle. Up to this point, he resembles “me”: my “Do Ask Do Tell” book sold about that many in the first three years. But he is a great family man. He gets out of narrow escapes and adjusts to all kinds of physical challenges, all the way to the end, on one of China’s arks. One of the the most telling quotes from Jackson's novel is political and collective: "we're done when we stop fighting for each other." But in an individualistic culture, people don't want to have to fight for one another. That culture seems to be sinking into chasms in the hollowing-out Earth. Woody Harrelson plays my other alter-ego (Charlie Frost), this time as a Thoreau-like hermit documenting the supervolcano, and blogging about a government plot (in cahoots with all other nations) to select the fittest to populate the arks for the next Great Flood that will even consume the Himalayas. Maybe he is gay, or maybe he is just a loner, but he is no Luddite; his blog (while superficially resembling this one) is filled with original CGI animation about how the world ends, and he is right. But his "treasure hunt" clue is low tech, a simple map showing where governments have built the arks (he keeps a library with a Dewey Decimal numbering system, the way I used to keep my classical music record collection; I guess "I" am bifurcated in this movie). Well, actually the world doesn’t end; it passes from the Age of Pisces to the Age of Aquarius. Humanity starts over. It sounds like you have to be able to procreate to get selected for the Arks, and there are some script lines to the effect that life is not fair, and the Chinese were not fair in who they picked. People who could pay a billion or so euros got ahead in line, even if money wasn’t going to be worth anything at the start of the new age. The opening of the film has an interesting use of foreshadowing: a child's toy boat topples in monsoon rains in India. Here's NASA's link on why the world "as we know it" won't end in 2012. The idea of big solar storms is serious, though. The people who got selected for the arks had the money (I'm not sure what good old fiat money would be after a Second Flood). But in an earlier film about a similar premise, "Deep Impact" (Dreamworks, 1998), the "selected" are notified by simple phone calls. "Underwater Universe" on History Channel: more about tsunamis and underwater volcanoes and earthquakes, as well as "The Deep"
On Monday Nov. 3 The History Channel aired its documentary “Underwater Universe”, about the “Seven Deadly Underwater Seas”. The DVD link is here. The film covered most of the well-known catastrophes, including underwater earthquakes and volcanoes, tsunamis (including the 2004 Indonesian tsunami), hurricanes, whirlpools (as off the coast of Maine), and icebergs (including the sinking of Titanic). Tsunamis whip up a lot of sand as well as water, adding to destructive potential. A interesting segment involved Santorini, which exploded as an underwater volcano in ancient times and wiped out much of Minoan civilization. 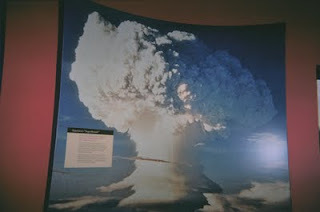 It was the second largest volcanic explosion in history, resulting in 200 foot tsunami waves. Underwater volcanic explosions can release sulfuric acid rain and smother small areas with carbon dioxide, as can small volcanoes on land (resulting in deaths by smothering; this has happened). The iceberg segment was interesting, in that it explained how icebergs get harder and less dense as the temperature gets colder because of the unusual bonding angles between the atoms in the water molecule. There was also a segment explaining the exploration down below 30000 feet with the submersible, the Trieste, in the Challenger Deep Trench in the Pacific. The film discussed zones in the deep ocean called Abyssalpelagic and Bathypelagic (try this SVG on Wikipedia). The end of the film mentioned man’s effect on the oceans as making them more unstable, especially with melting of ice caps. The Earth is the densest planet in the Solar System, even with its liquid ocean, according to a question on Jeopardy. The only other body known to be likely to have a large water ocean (underneath ice) is Europa, although that may be possible with Titan also (Titan has methane or ethane oceansor lakes on its surface). Wikiepedia NOSA ocean gravity map. The Discovery Channel hosted a new variant of the Nostradamus series (also seen on the History Channel a lot), “Nostradamus Decoded.” The movie goes into the structure of his writings (“The Prophecies”) as 10 centimes, organized into quatrains, rather the way you would study them in a college literature course. Nostradamus (Michel de Nostredame) had to hide much of his ideas in code; in the 16th Century, direct criticism of the Church or kingdoms could get you before an Inquisition or burned at the stake. There is something about a personality that simply wants to warn people, that “it really could be that bad” if you don’t wise up and do better. Nostradamus might be an influential blogger if he were alive today. The movie discusses his predictions of future Anti-Christ’s (like the Van Trier movie, maybe) – “Hister” would map to Adolf Hitler. One of the quatrains can reasonably be mapped to the events of 9/11 (the film shows the Twin Towers imploding). There are other apparent matches such as the atomic bomb in 1945. Another curious prediction concerns the expansion of the Sun to incinerate the Earth and force men to move out, presumably now to Mars. But that could not happen by 3900; that will not happen for several billion years, when the Sun becomes a red giant (it will eventually become a white dwarf). Well, the one good thing you can say about SyFy/Asylum Film’s pre-2012 ripoff, “Megafault”, is that it starts with a scene in a mountaintop removal mine in West Virginia, one that looks like the notorious mine 40 miles south of Charleston. Pretty soon, mine operators and Big Muskie draglines are getting swallowed up, Biblical style, by cracks that open in the Earth and travel, Smallville-style. The stripminers get what they deserve. Pretty soon Washington DC gets it, and then so does Lexington, KY. It turns out that the military had a crypto project to use space lasers to flash-freeze underground water to produce quakes, and it went wrong, and now the planet is threatened. Furthermore, the quakes approach the Yellowstone supervolcano, and threaten to blow it up (we’ve seen a lot of the consequences of supervolcanoes already). The movie is directed by David Michael Latt and features Brittany Murphy as the PhD heroine, and actor Bruce Davison makes a comeback, as does an unerased Justin Hartley (Smallville, Passions). But the urgency is so coincidental and so contrived that the movie seems laughable than a real warning about a megadisaster that could happen. 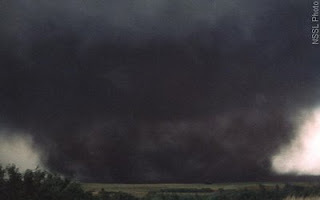 People try to outrun progressive quakes they way they outrun tornadoes—recalling the effects of the 70s thriller “Sorcerer”. The Earth’s surface gets turned over the way Venus’s did 500 million years ago, and the prospects for civilization are not too good. The film could be compared to NBC's miniseries "10.5" and the sequel "10.5: Apocalypse", both directed by John Lafia. “Space Wars”, of the History Channel “The Universe” series, aired on Oct. 6, 2009, link here. Probably the most alarming portion of the show concerned the EMP (electromagnetic pulse effect), powerful “lightning-like” currents shot to earth by nuclear explosions. The higher the explosion, the wider the area affected. In 1962, a nuclear hydrogen bomb test disabled electronics from New Zealand to Hawaii, which resulted in the US and Soviets stopping high altitude nuclear tests (although enforcing the ban was tricky, as I would learn when I worked for the Navy Department as a programmer in summers and then permanently in ensuing years). The rest of the show was closer to the “StarWars” scenarios. There were, however, many exotic ideas proposed. One is gattling rods fired from the stratosphere as the ultimate bunker busters. 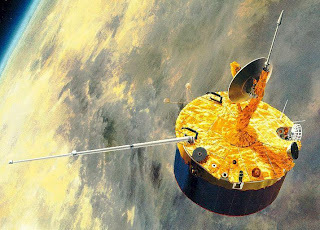 Some scenarios, with e-pulses from above, were less melodramatic, but could disrupt GPS timing signals, meaning the electronic funds transfers don’t work. Space battles with human combatants would be limited by the acceleration that humans can take, about 10G. “Ray guns” however would require fusion-sized reactors packed into a handgun-sized devices. The show concludes with a brief discussion of the Outer Space Treaty of 1967, and speculation as to how countries would behave once we colonize the Moon and other planets like Mars. Also, take a look at MSNBC's slide show :"8 space crashes and smashes: NASA’s LCROSS probe won’t be the only spacecraft to meet its demise", link here. "Loose Change 9/11: An American Coup": more conpsiracy theories? NatGeo recently previewed Dylan Avery’s documentary “Loose Change 9/11: An American Coup” and the film (distributed by Microcinema) is now available from Netflix. The website is this also here's and adovcacy engineering site for this particular "conspiracy theory". The film starts out with a 12 minute prologue showing how in history governments have set up catastrophes to justify their agendas, starting with the Nazi burning of the Reichstag in 1933. LBJ’s handling of the Gulf of Tonkin before Vietnam is interesting. The film moves on to analyze the events of 9/11, and point out various anomalies. The government is said to have started a maneuver on September 10, and President Bush stayed in the elementary school for almost half and hour after the attack started, reading “My Pet Goat”. The path of the plane that hit the Pentagon is said to be illogical, and impossible even for a recently trained hijacker. 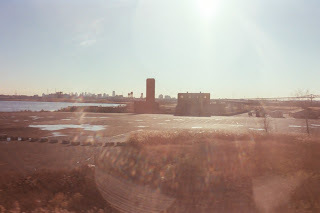 But much of the film goes into claims that the “pancake implosions” of the Twin Towers could not have occurred without explosives having been planted beforehand, near the base of the building, which some witnesses claim they saw. The DVD includes interviews with Daniel Sujata, and actor who says “artists have got to become activists”, as well as engineer Richard Gage. It also interviews the artist Janette McKinlay. I suppose that this film makes a good comparison to Michael Moore's "Fahrenheit 9/11". The Korean disaster movie “Haeundae”, directed by Je-gyun Yun, (website) really does lay on the line what could happen to a major coastal city (the Haeundae section of Busan) if a really big tsunami (100 meters or more) hit after an undersea earthquake or avalanche (it’s the latter that would really do this.) In the film’s final forty minutes, the tsunami hits with a one-two punch; we see it knocking over high rise buildings (just as in the movie “Deep Impact”) but then a lot of them are standing still; the final panoramic shot in this 2.35:1 film does show the damage that could be done. The bridge rescue sequences (and the bit about the freighter colliding with it and piling up into it – something like that happened in Katrina) are great. There is plenty of “women and children first” and self-sacrifice (a guy jumps off the chopper rope to drown to let everyone else get saved). 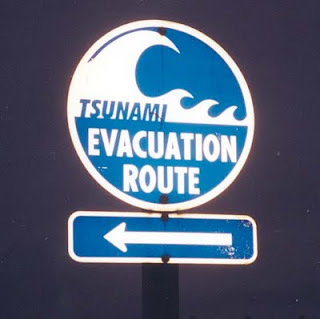 The movie opens with the 2004 Indonesian tsunami, and much of the first two thirds is punctuated with geologist Kim Hwi (Joon-Hoong Park) making dire predictions of what could happen to Busan. But he also gets involved in a domestic subplot that rather resembles the complexity of “Babel”, but seems superfluous – except that at one point he brings up the trendy subject of eminent domain. Ironically, on the same day that I saw this film, a deadly tsunami did hit the Somoans in the Pacific. More details will be forthcoming soon. Look at Phil Sandberg’s film "Sydney Harbour Covered by Dust Storm" during the dust storm in eastern Australia a couple days ago. The film shows how dust changes the tint in actual digital video processing. This is what Mars might look like if it were terraformed, water was reintroduced, and cities could be built on it – in the summer only. Note the experimentation with colors and the Club Bondi, apparently a bar. According to Kate Schneider of News AU, a second dust storm is on the way, story here. The winds blow from the SW, from South Australia. In the US this would be a dry “cold front” (not very cold) in the spring (as N and S are reversed). Doug Hill of Washington Station WJLA would have fun explaining this to high school students on that station’s field trips to schools. Hill has said that a dust storm from Africa (the Sahara -- more like a sandstorm) is blowing into the Atlantic and breaking up potential hurricanes this season. Try looking up Sydney, Australia on weather.com. Sorry, this event won’t bring on the “Waltzing Matilda” of the Nevil Shute novel and film “On the Beach”. If you want to look at a video purporting to prove that Rover Spirit actually found buildings from a previous civilization on Mars, check this video ("Mars: NASA Found Buildings") link (no embed offered). To me, it looks like a History Channel movie about Area 51 (or an exhibit in Las Vegas). The best representation of Mars in Hollywood may be John Carpenter's "Ghost of Mars" with the train and central city. But Scientific American, in some drawings of hypothesized alien plant life on smaller planets around M stars, actually depicted an earth concrete building in one still (April 2008). Out there, other places may be more like home than expect. 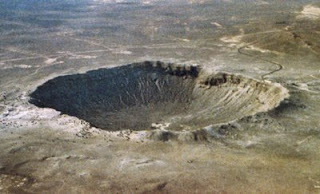 On Tuesday, Sept. 22, the History Channel’s “The Universe” series presented “10 Ways to Destroy the Earth”. The program started with the “reassuring” idea that an asteroid hit could not destroy the Earth, but a collision with Venus could cause both planets to disintegrate and recombine as a larger, desert planet, probably resembling others within 100 or so light years of our solar system. 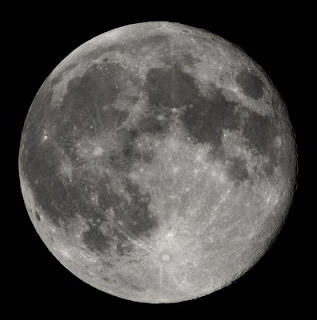 A collision with a Mars-sized body accounts for our Moon. That’s a good scenario for sci-fi. The Earth would become like Venus and eventually get extruded into the Sun. The other scenario, where the Earth gradually recedes, might allow humans to build a civilization underground, off of geothermal energy, and have a world like Europa (or maybe even Titan underground or even Triton). Some of the scenarios toward the end are interesting. If the Hadron collider makes a mini black hole, they tell us it will evaporate, like ice subliming in the sun when the temperature is below freezing. A black hole the size of a marble could consume the earth from within, much like a well-known scene from the new Star Trek. In my sci-fi novel, I imagine that “ viral proteins can accommodate certain radioactive atoms that produce micro black holes that allow the information imprints of other personalities to be imported” in order that personalities get consolidated by a “soul contraction” at the end of time. The film imagines some bizarre ideas, such as introduction of anti-matter, or like the possibility that gravity suddenly splits into two forces, or that somehow the Earth is “infected” by strangelets, that turns the entire planet into a strangelet goo, very much like a prion infection of the brain. Or possibly parallel universes collide, resulting in annihilation and a new big bang, which is an “inflation” of space-time which can exceed the speed of light. Earlier this evening the History Channel presented “Big Blasts”, which start with the asteroid that destroyed the dinosaurs and ends with the Big Bang. Attribution link for NASA picture of surface of Europa. On Sunday September 20, National Geographic aired an important one-hour documentary on the asteroid impact issue, called “Ancient Asteroid,” with link here. The film is written by Richard Reisz. The Sahara Desert has been a “sand ocean” for only a few thousand years. But about thirty million years ago something happened in the area to cause an enormous amount of green-yellow glass to form over an area a few hundred miles SW of Cairo. Most natural glass is volcanic in origin, but the scientific evidence, developed by physicist Mike Boslough, indicates that a partially broken or loosened asteroid exploded above the area, sending an enormous plume a hundred kilometers into the atmosphere and heating the ground to thousands of degrees. The same kinds of event may explain the Tunguska Explosion in Siberia in 1908, but it was smaller. The film shows simulations of Tunguska, and computer animated simulations of this Sahara explosion. A similar glass surface about 600 yards wide was formed by the Trinity atomic bomb blast in New Mexico in July 1945, but it was much smaller even than Tunguska. Even a Tunguska-sized asteroid over a major city could kill millions without warning, and such impacts may occur about once a century somewhere on the planet. The idea of hitting an asteroid with nuclear weapons (as in the 1998 movie “Armageddon”) to break it into pieces might just cause an even bigger high-altitude blast. 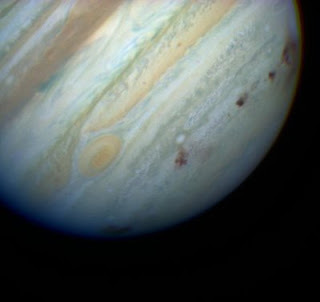 The film also covers the Shoemaker-Levy Comet collision with Jupiter in 1994, NASA link here. 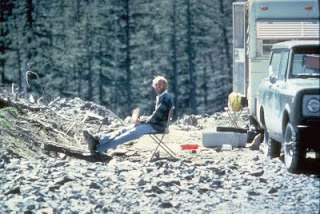 A glass deposit seems to exist in far northern California, north of Mount Shasta; I visited it in 1975. 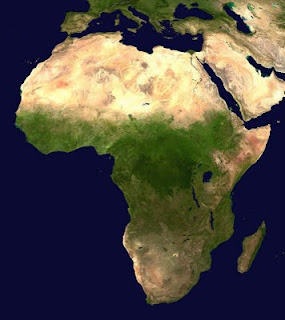 Attribution link for Wikipedia/NASA photo of Africa. http://en.wikipedia.org/wiki/File:Africa_satellite_orthographic.jpg . On Saturday, Sept. 4, the History Channel aired the one hour “Doomsday 2012: The End of Days” as part of its “Decoding the Past” series, show url link here. A central theme of the report was the “Web-Bot Project” (a typical description is here http://urbansurvival.com/simplebots.htm ) which makes automated robotic scans of the Internet to predict the future. 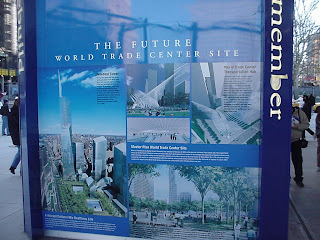 The Project allegedly predicted 9/11, the anthrax attacks, Hurricane Katrina, and the great Northeast power failure in August 2003. There are many predictions of apocalypse at the end of 2012, mostly based on the idea of cycles of history. The best known is the Mayan prediction, but there are others, such as the Hopi Indian “4th World” tradition that predicted that the world would be encircled with a “Web” (the WWW); English author Richard Head (late 1600’s) invention of “Mother Shipton” and her predictions; Merlin, and the Chinese I Ching. The Mayans apparently predicted the arrival of the Spaniards on the exact date in 1519. "End of Days" was a Universal Picture at the end of 1999, directed by Peter Hyams, with Arnold Schwarzenegger as an atheist ex-cop trying to keep the devil's bride from bearing a kid. On Sunday Sept. 6, the Weather Channel broadcast a particularly interest “Storm Stories” episode, about Tropical Storm Erin in 2007. In the countryside slightly east of San Antonio (still flat, before the Hill Country), a man tried to drive home, and ten inches of rain flooded an entire flat area so quickly that his car was lifted up, and he had to climb to a tree to be rescued, which itself was difficult. His wife watched the rescue at home on live local television. Farther north, in Oklahoma, the tropical storm intensified as it interacted with a cold front. This is unusual for a TS over land, but it wound up with 80 mph winds over land, dumping about six inches of rain in some areas in two areas. One small farm owner south of Oklahoma City went out to his pond, and somehow became ensnared in a “tin horn” drainage device. For half of the show he described his being caught and almost drowned, and then expelled from it by the torrent of water, rather like the “whale” expelling Jonah. But for someone who contemplates moving into the LA basin for job or career reasons (still possible for me some day, whatever the economy now), the wildfire threat seems as potentially destructive as earthquakes, or as hurricanes in the Gulf region. Here is a time lapse video of the La Canada Flint Ridge Station Fire, by WTK Johnson. The film shows people in rapid motion moving across the "lakeview terrace" to check on the danger, day and night, 24 hour time lapse. Sometimes the wind picks up and it looks scary. “Willow City Video” has an impressive two-minute video of the start of the Station Fire from the Angeles Ridge here. There are other time-lapse videos, and at least one from downtown Los Angeles, on YouTube. The latest media reports indicate an arson investigation. But even accidental carelessness in wilderness areas of this arid region with underbrush can pose enormous danger. It’s better of one does not smoke at all, for example. Carelessness wheb camping can be tragic. Even so, it seems that most California wildfires are caused by dry thunderstorms or lightning, not intentionally by man. The Huffington Post has an article from June 23, 2008, "800 California Wildfires Caused By Lightning Strikes", with link here. Dry Santa Ana winds make them worse. 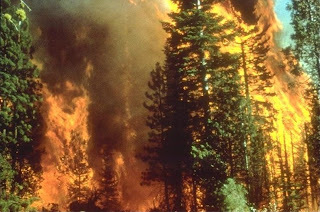 In remote areas, lightning fires are a natural occurrence, necessary to stimulate some vegetation that waits for fire every four or five decades. It's surprising that building codes are not even stricter about clearing out dry brush near new housing developments, to build firebreaks. Here is a State of California reference on the codes. A Weather Channel program Sunday (Sept 6) mentioned steps that homeowners should take, such as removing juniper trees near a house. 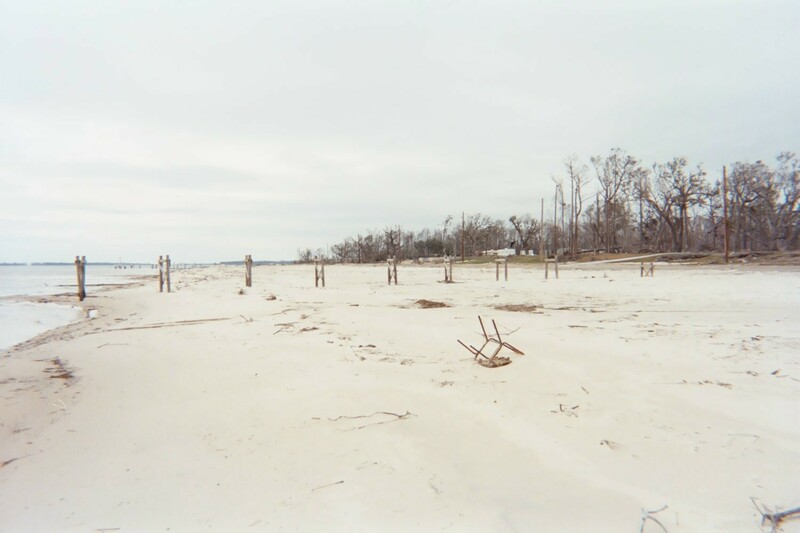 Wildfires, even in the Southeast (as near Myrtre Beach SC) have been an increasing problem since the late 1980s, with global warming. In 1988 there were severe fires in the Yellowstone area. Wikimedia attribution link for public domain picture of a wildfire in California in 2008. Today, Sept. 1, PBS NOVA “Science Now” had a fifteen minute short “Earthquakes in the Midwest”, with link here. Try the “find the fault” application! The report briefly described the three earthquakes near New Madrid, MO around 1811, before any large cities were built. There seems to exist a subduction “dimple” that never became a full-fledged plate boundary under the Mississippi River area. The show presented downtown Memphis and St. Louis, both of which could have tremendous damage if there were to occur a large quake in the area. The Memphis area has about 200 silent quakes a year. The scientists went caving, in very muddy conditions, to look at evidence of past earthquakes, which seem to occur every 500 years or so. We may be safe for a while. 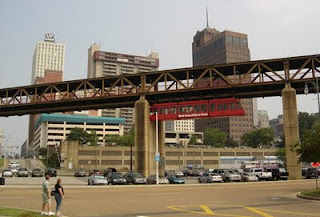 Attribution link for Wikimedia picture of Memphis monorail. “9-11: Science and Conspiracy” on National Geographic, airing on August 31, 2009, examined the “conspiracy theories” about 9/11 proposed by “truthers” who claim, among other things, that the Twin Towers were imploded by controlled demolitions. The movie shows some experiments in the desert with test buildings, to show how jet fuel heat softens (without having to melt) steel, enough to weaken support trusses and to cause a pancaking of a skyscraper. The film also simulates, with 3-D “Pixar-style” animation (this specific material developed at Purdue University), the actual plane impacts and subsequent softening and collapse. The NatGeo link for the film is here. The film then examines the theory of “rogue planes” on 9-11. It then goes into conspiracy theories for other tragedies, including Pearl Harbor and JFK. A conspiracy theory is a romantic idea, to make sense out of something else that is intolerable. A theory is like a novelist’s though, an exercise in make-believe, in fantasy. Randy Thomas narrates the film. A related DVD coming soon is “Loose Change: 9/11: An American Coup” (also called "Loose Change: Final Cut"), from a very youthful Dylan Avery (releasing Sept. 22, 2009), who appears in the NatGeo film=2 0frequently. Visit the NatGeo label on the TV blogs too. On August 23, on PBS, "Globe Trekker" WETA (Alex Riley, apparently a Brit) toured the Spanish Islands: the Balearics off the coast of Spain, Mallorca (site of some chess tournaments) and most of all the Canary Islands, including Cumbre Vieja, the volcano that could trigger an avalanche resulting in a huge tsunami that would reach the East Coast of the United States. Reilly also took a gondola up a nearby volcano, and hiked to the 12000 foot barren summit. The particular volcano has been dormant for about 1000 years, but still leaked sulfurous fumes. Attribution link for Wikimedia map of Canary Islands here. Aaron Brown (often on CNN, a major reporter on 9/11) narrates the 40 minute film PBS Wide Angle “Eyes of the Storm” about Cyclone Nargis in Myanmar (Burma) in May 2008, along with the political aftermath, including the continued repression of journalists by the ruling junta that has no real ideology. MPT aired this on August 19, 2009 with this link. The PBS link is here. The program started with the coverage of a trial of a female journalist arrested for having “the wrong people” in her own home. The documentary showed the carnage of the typhoon, but spent more time on social and political conditions in the country, including a ten year old forced to raise his siblings. Check also ABC’s Foreign Correspondent here. Attribution link for NOAA diagram of cyclone. The documentary examined blue giant start WR104, a huge “Rubyiat” that is already preparing to go supernova. The star might not have enough metallicity to avoid becoming a Gamma Ray Burst. From the position of the dust spirals nearby, we believe that Earth would be in the firing line 8000 years after a GRB. We are just close enough that our ozone layer could be set on fire, possibly a life extinguishing event. Once every billion years or so the Earth could be jeopardized by a GRB in the Milky Way. There also exist “death galaxies” where entire small galaxies shoot out gamma rays to nearby galaxies. A few billion years from now, the Milky Way will merge with the larger Andromeda and could generate a death galaxy. Binary neutron stars, of which there are about 24 in the Milky Way, could generate short GRB’s aimed at Earth. A rogue neutron star could conceivably kick the Earth out of solar orbit, to freeze as a rogue planet X. Would they tell us? It sounds like the stuff of Jules Verne. The “Star Wars” series presented its versions of death stars. There are some supernova contenders even within 1000 light years, like red giant Beetlegeuse, only 500 light years away, and it might generate a GRB, but we are not in its blast line. A nearby supernova would be the brightest night object every seen. Attribution link for NASA p.d. drawing of a GRB, here. On Friday Aug. 14, ABC 20-20 presented a show on the May 25, 2008 Parkersburg, Iowa tornado. The show was called “Blown Away, Twister Terror”. The main news story is by Joanna Weiner with link here. Afterward the authorities have to watch leaking natural gas and electric sparks. The tornado sounds comparable to the 2007 Greensburg KS tornado. Attribution link for NWS p.d. 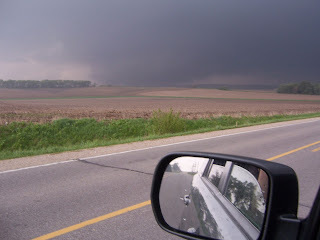 picture of Parkesburg IA. Dr. Bridgett Smith, from the Scripps Institute of Oceanography, gave a lecture in January 2008 on University of California Television, “Exploring Earthquake History Along the San Andreas Fault,” at the Scripps Aquarium. There have been some media reports recently of increased activity along the fault, and the possibility of a major earthquake in California in the near future, so the lecture is of some interest. The lecture includes a lot of color-coded animations, well done with some sort of animation software package, of earth movement during many different events going back to the early 19th Century. 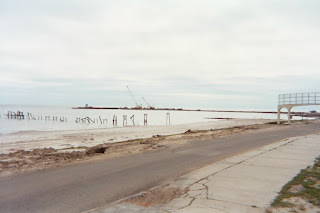 She pays particular attention to the Imperial Valley and Salton Sea, to Parkfield, and to the San Francisco area with the 1906 and 1989 earthquakes. 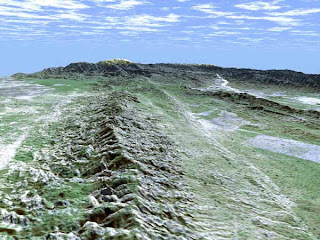 Attribution link for NASA photo of San Andreas fault. I visited the Imperial Valley area in February 2002 (when it was actually cool). "Nostradamus: 2012" aired on the History Channel Tuesday. The program sketched a number of dire scenarios that it claims are reflected in the quatrains of his “Prophecies.” The underlying idea is that a galactic alignment (of the Sun with the black hole center of the galaxy) occurs on Dec. 21, 2012, a date that ends an era on the Mayan Calendar, and is close to the end of a Talmud Millennium. Perhaps it brings about our "purification." The History Channel link is this. There are suggestions that a magnetic pole shift could occur, destroying all electronics, or perhaps leading to cataclysm (as in the 1976 book Allan W. Eckert, The HAB Theory). The film then covers a number of calamities occurring in close succession: global warming, SARS and perhaps new flus, AIDS, tsunamis, earthquakes, and hurricane Katrina. Interesting is the “colony collapse disorder” in honeybees, of unknown cause, and the disappearance of bats (possibly into wind energy turbines). The film warns that the galactic alignment could trigger supervolcano eruptions (including Yellowstone and Mono Lake) that could lead to mass extinctions. The film covered the philosophy of the Hopi, who say that at any point man has a “Krzysztof Kieslowski” choice of good or evil, and at some point mankind will find himself going through a “bottleneck period” where man has limited time to resolve the problems that threaten an advanced civilization. 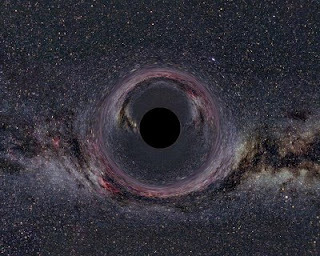 Attribution link for Wikimedia Commons rendition of a (galactic) “Black Hole”. On Sunday, May 16, the Discovery Channel re-aired its two part series “Apocalypse How” (two hours total), link here. The voice of the narrator is the same as in the History Channel Mega-Disasters series. The first episode started out by enumerating four major ways that civilization could go suddenly. The first is a supervolcano, with Yellowstone the most notorious danger, but there are six others around the world, including Mono Lake in California, and Indonesia. 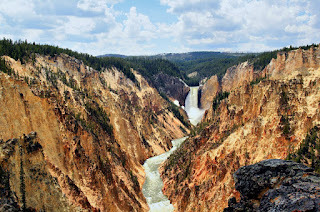 Check out the US Geological Survey “Core cast” “Is Something Brewing Within Yellowstone?”, link. You can follow links here to monitor the recent earthquakes which could forecast a catastrophic eruption. The Discovery film did not mention that earthquakes have increased recently in early 2009 (since the film dates to mid 2008), but a recent History Channel “How the Earth Was Made” does. The second immediate end to mankind would be manmade nuclear war, which could start out with Pakistan and its unstable political situation. The well known nuclear winter follows the same process as a volcanic winter. The third scenario would be a pandemic, possibly manmade, that kills almost everyone. A fourth end-of-days would come from an alien attack, which scientists take more seriously than you would think. We might be treated by aliens the way we treat an ant hill (I question that). A fifth apocalypse would be a direct asteroid hit. Apophis, which could hit in 2020 or even more likely 2036 could take out a major city, but an asteroid a few miles across would wipe out almost all higher life forms. The show didn’t mention a similar risk from comets. The second our starts out with slower threats, mostly manmade. The most notorious is global warming, the range of estimates range up to 6 degrees Centigrade. If all the earth’s ice melts, seal levels would rise 200 feet, wiping out much of the earth’s coastal cities, and putting us all under a permanent Katrina. The next risk could be something like Transformers, the movie. That is, our robots could get smarter than us and attack us. More insidious would be nanotechnology. The show speculated that an asymmetric terrorist could manufacture a nanobot that becomes infectious and converts all of the earth’s matter into gray goo in a matter of hours (sort of like the way prions cause brain disease). (Nanotechnology was the inspiration for the show “Jake 2.0”). The show then covered the CERN (European Organization for Nuclear Research, and the Hadron Collider (website)) experiments underneath Switzerland. Scientists pooh-pooh the idea that a mini black hole created by the experiment would destroy earth. But maybe the experiment could produce a strange matter, and by “prion-like” infection the whole earth and maybe universe turns into a strangelet. Here is a story by Lewis Page in a British paper about a lawsuit to stop CERN to stop “hurling Earth into a parallel universe”. The show returned to some of the unpreventable other forms of apocalypse. 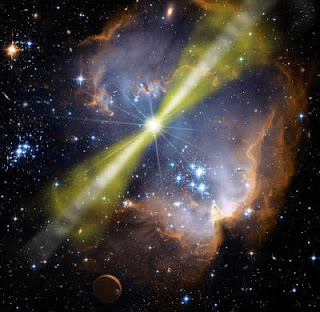 A gamma ray burst from a supernova even several thousand light years away could destroy us. The film also simulates what would happen if a rogue black hole approached earth. The film also covers the wobble in the Earth’s orbit, which 80% the time favors an ice age. We live during a time of the fortunate 20%. At the end, the film covers the possibility of a super solar flare, which would be like an electromagnetic pulse (EMP) and possibly wipe out all electronics, or at least all satellite operations. (The superflare scenario of the Summit Entertainment film "Knowing", combined with prescient alien visits and rescues, is not mentioned.) In 5 billion years, the Sun will become a Red Giant and heat will destroy the Earth, so mankind must find a new home by then or mankind will expire. Get ready to terraform Mars, maybe even Titan or Triton. Neil deGrasse Tyson, a Columbia astronomer, often appears in this film, as does John Rennie, a chief editor of Scientific American. The film seems to have the same narrator as the History Channel Mega-Disasters series, Roger Tilling, and has the same expository style. A similar film was ABC's "Last Days on Earth" in 2006, about which ABC has an article here. That film has been re-aired on the History Channel several times. Watch out for The Purification! What happens to all of us on Dec. 21, 2012?